Royal vinyl/clear vinyl sleeve, 5½" x 4". 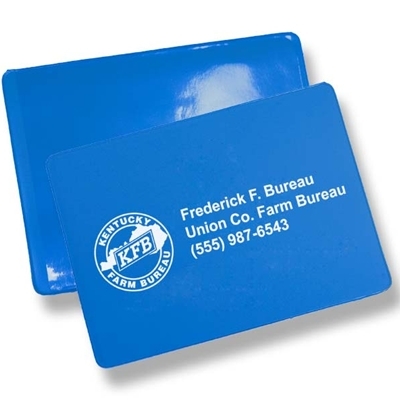 KFB Logo with up to 4 lines custom imprint. Order in units of 500.